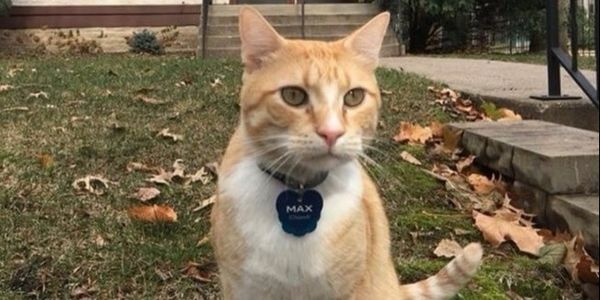 petition: Demand The Macalester College Library Allows Max The Cat Back Inside! Demand The Macalester College Library Allows Max The Cat Back Inside! A campus cat lost his library privileges but gained quite the internet fame. Meet Max the cat! Max spent his early years wandering the streets until one day he was picked up by a rescue group and adopted by a kind-hearted woman, Connie Lipton, in Saint Paul, Minnesota. But his love for meeting new friends never diminished. Max's human dad is a teacher at Macalester College, which is just across a small street. Every day when he heads out to work, Max begs to come with his dad. Eventually, the couple gave in and let their sweet ginger boy check out the campus and hang out with all the people he'd been so eager to meet. Within a short period of time, Max had made countless friends across campus. He joined students on the lawn and popped into their dorms to send some support and meows. He even stopped by department buildings for a surprise visit according to the Washington Post. Max never failed to put a smile on people's faces. Max loves people and can't get enough of their attention. He is constantly socializing. If someone is walking by, he will come up to them and greet them with headbumps. Students adore him, and Max loves them, too. However, there's one place that Max has trouble getting in. After he decided to enter the Macalester College library, he kept going back. Because of his stealthy gait, library staff started to worry that they might accidentally lock him inside overnight. Also, one of the employees is severely allergic, so they regretfully had to make the library an off-limit zone for the campus cat. Purrfect Solutions: A) Allow Max in the library for half a day. B) Have the librarian to take an anti-allergic pill such as Zyrtec d before she comes to work. C) If Max gets stuck in the library his owner Connie Lipton, can install a video feed into her Smartphone to keep up with him. If you agree, please sign my petition. Thank you.